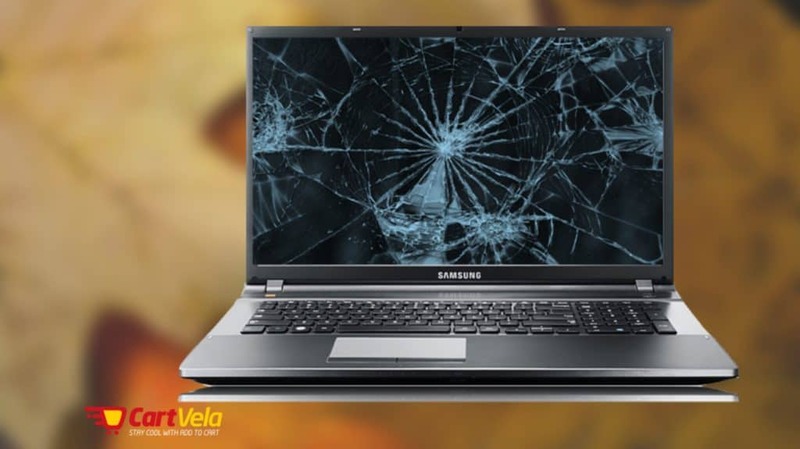 Your Laptop Screen is Cracked and you are worried that how to fix it? Don’t worry In this article I will guide you how to fix a cracked laptop screen without replacing it? While traveling on a business trip couple of days ago, I accidentally broke my laptop screen with all my business data saved in it. Woooooohhh!! Being shock what came to my mind at once was I couldn’t replace it as I was short of time and new to the city as well. So taking a deep breath I decided to fix my laptop screen on my own without replacing it. A cracked LCD screen replacement of a fully functional laptop is not only great for your wallet but for the environment as well. This enables people to act in a way which is environment-friendly. The first step before doing anything is to give a full look over to your laptop and inspect. If its graphics card on a motherboard is dead, then you are wasting your effort and time. For checking the functionality of your graphics card, plug it into a desktop monitor or TV. There are three ways to check the functionality. If the external display looks good, your graphics card is functioning properly and your screen is at fault. Your screen is blank, certain function keys need to be pressed to activate an external display output. If the output to another display is successful, you should use your computer for some time, to check for the normal functionality of other components. Here I am talking about a run-of-the-mill or an average laptop. Others might require some different process for the replacement of screen. Any flat working area: sit comfortably near a flat working area, to fix your laptop. Needle or safety-pin: to remove the cover stickers, hiding the screws under the bezel. A small magnetic head screwdriver: you need a size range between mini-midsized magnetic screwdrivers. The magnet helps the screws to stick to its head, thus making the removing and replacement of the screws easier. Any plastic knife or thin object: it assists in pulling apart the bezel from its case. Any container or a small bowl: for keeping the small screws safe, you need a container. First of all, unplug the laptop from its AC adapter. Battery needs to be removed as well. Search for the round cover stickers, hiding screws on the bezel. These are located one on every side of the screen. Use a pointy or sharp object to safely remove the cover stickers without any damage. Place the cover at a safe place after removing, with its sticky side upward to ensure safe sticking later on. For removing these now exposed screws, you need to use a screwdriver. Now carefully pull the bezel away from the screen case. Placing a thin object in the crack around the screen outside and applying some force, you will hear the unsnapping. By moving the position of the screen up and down, it gets fully free. After removing the bezel, you will see that the LCD is secured by a metal trim frame on both the sides. Remove the screws securing it with the LCD. Now set face of the LCD down towards the keyboard. Avoid excessive force on the video cable at the back of the LCD screen and disconnect it. Most of the laptops have this connector near its center. Pull the cables gently away from the screen; unplug it with a little force. After fully removing the broken LCD screen, place the new screen facedown just like the old one. The video cable needs to be re-attached to the connector and so do the tape and other cables. Set and re-secure the new screen inside trim frame pieces just like the old one. The put a screw on the top of each to set it back in the screen case. To put the bezel back, you need to carefully line it up and push it back in the snaps of its rear screen case. Hope these steps will help you to fix your cracked laptop screen as easily as I did it.